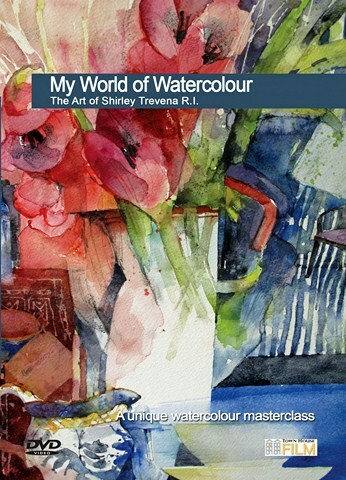 There can be few watercolour painters today in the UK with the influence of Shirley Trevena R.I. Her style is immediately recognisable and mixes her skills as a colourist with vaulting imagination and style. In this DVD Shirley takes us on a journey through her creative process from how to start a picture from scratch to how to decide when a painting is truly finished. This DVD is full of wisdom, inspiration and a sheer delight to watch. In The DVD Shirley deals with the all important choice oif paper and introduces us to some exciting new colours from the USA that she is currently using.